Restaurant business was never separated from the restaurant menu. Well, you are not only choosing the design and print the restaurant menu which can be done randomly. You can see the difference when you hire a professional menu restaurant designer which is highly consider the aesthetic in designing the restaurant menu. Jasafotojakarta.com provides you with many photograph services available, including of designing your restaurant menu to make it more appealing by build up the image of your restaurant. It will be printed in high quality which is based on your need. Restaurant menu designer Jakarta, especially jasafotojakarta.com will create tempting restaurant menu and can used as promotion tool as well. Plus, your restaurant menu will be completed with a menu description that impress your customers and order it. Of course, there are many restaurants have used our services to design their restaurant menu in unique and different way. Designing your restaurant menu can determine the quality and professionalism of restaurant. For example, you are able to compare the menu on world-class restaurants with small-scale restaurants. Surely, you can see the difference obviously. As mentioned above that your restaurant menu can be used as an effective marketing tool. By using attractive design can leave your customers with different impression and enjoy the dishes in your restaurant. This is because the restaurant menu is the first thing that customers see before they can taste the dishes in your restaurant. If you wonder about our portfolio, then you can check our work by designing the restaurant menu of Lu Wu Shuang. Lu Wu Shuang is a franchise of Chinese restaurant which originally from China. Currently, you can visit this restaurant in Jakarta, located on Pantai Indah Kapuk. 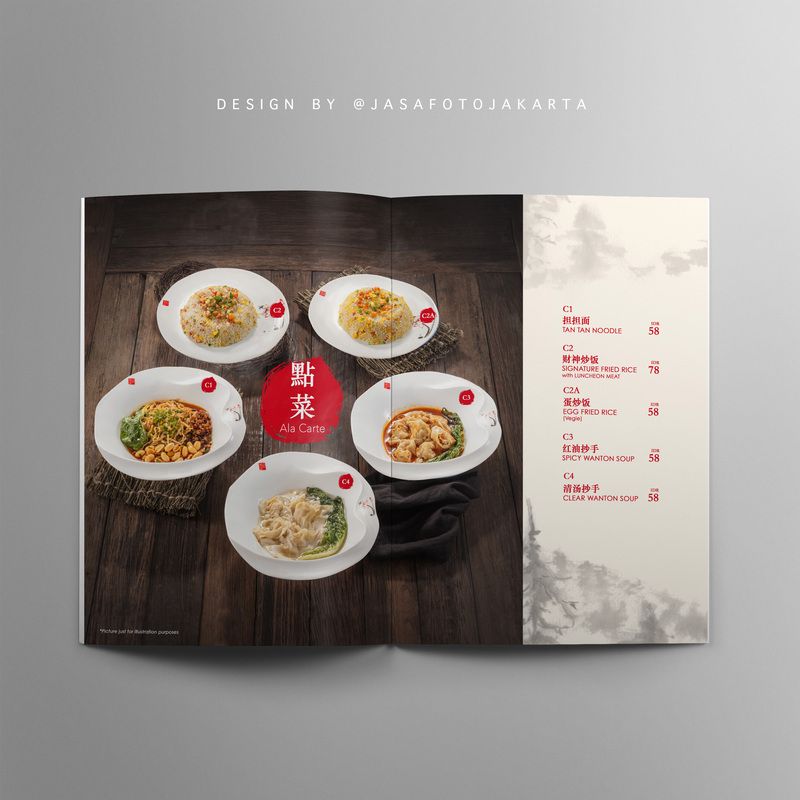 Jasafotojakarta.com takes a challenge from this restaurant to create more appealing and unique restaurant menu design from set book menu at Lu Wu Shuang restaurant in China. You are able to check our detailed works in official site of jasafotojakarta.com. As we know that there is distinctive charm when you visit a restaurant that serves you with Chinese cuisine. The unique flavors and tempted aroma from various herbs make people love Chinese cuisine. 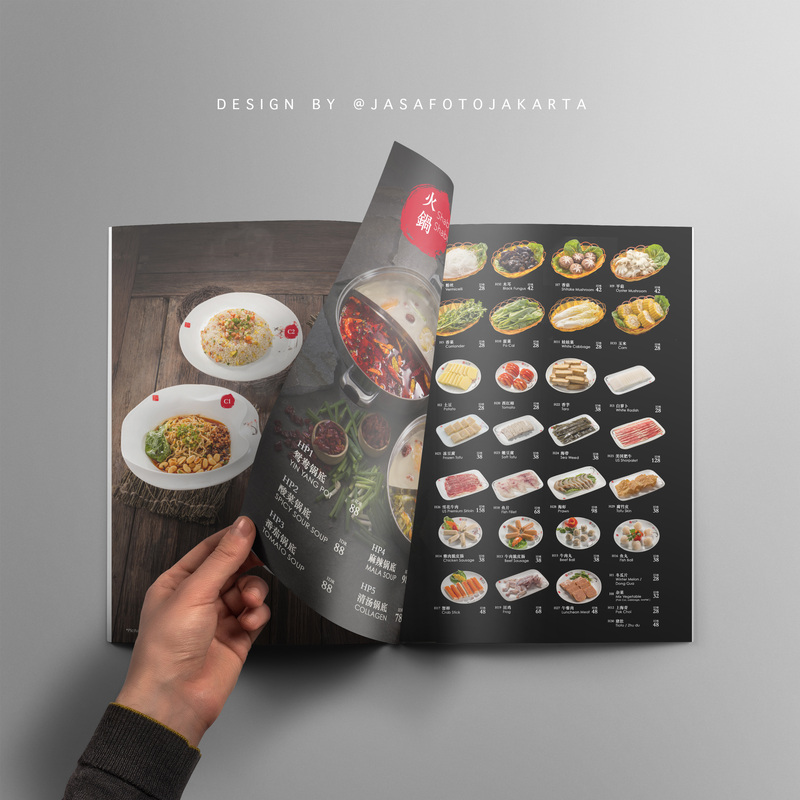 Jasafotojakarta.com is completely understand those things and make the design of restaurant menu Lu Whu Shuang can reflect its special charm with various photos along with its special spices. We also provide a tempted description of how presentation is and information related to ingredients, even we also provide a bit information about the benefits of menu for your health. As we know that this restaurant is originally from China, we also include a description by using Chinese letters to give more distinctive feeling. We divide the menu lists into several categories, they are spicy sour, spicy fragrant, ala carte, shabu shabu, snack, cold dish, beverage and dessert. For each category, we present images of dish along with ingredients and clear price cost. Of course, we always add Chinese ornaments as the characteristic of Chinese restaurant. 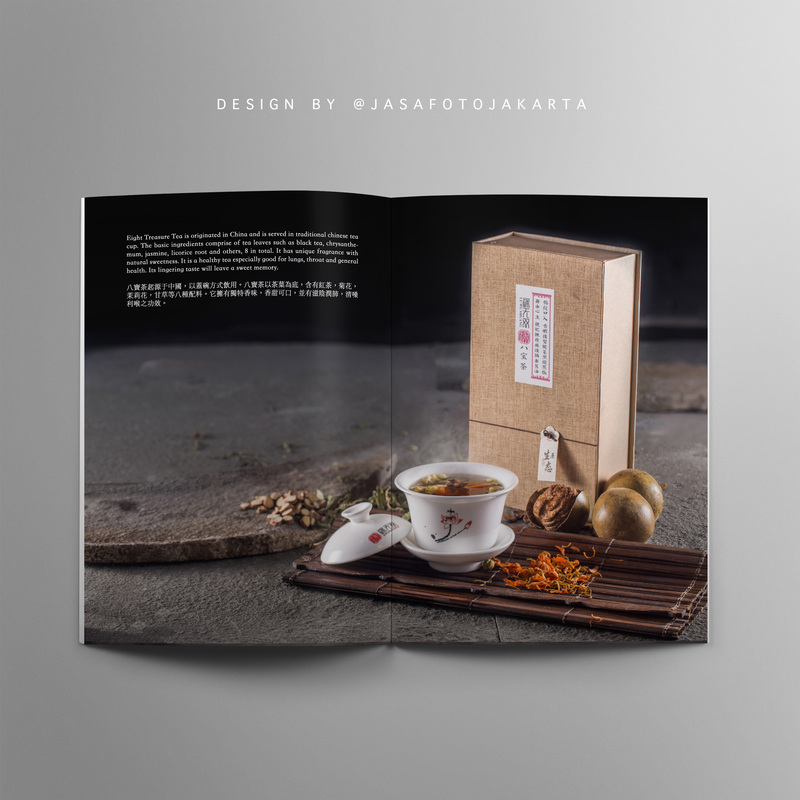 You are able to check the result on http://jasafotojakarta.com/project/desain-menu-restoran-luwushuang/.